The initials once stood for Blumfeld’s Best Briars after Louis Blumfeld, who took over the management of the Adolph Frankau Company in 1856. 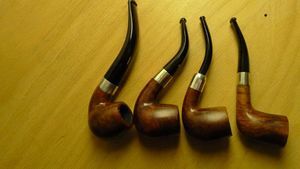 After his death, the BBB gradually became known as Britain’s Best Briars. 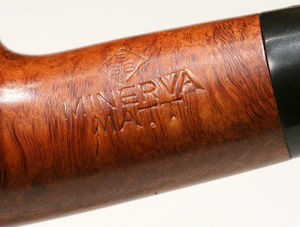 Soon to be the oldest English trademark in current use and the first pipe ever to have a registered trade mark. 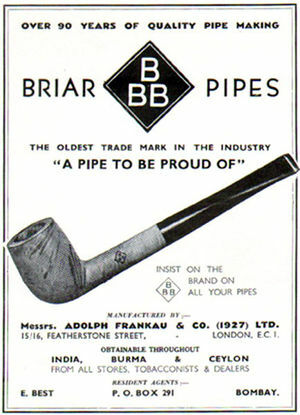 "Britain's Best Briars", often called BBB, is one of the oldest brands still in production and has always been the most popular foreign brand in Denmark. 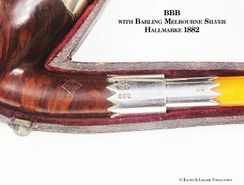 Earlier pipes included a metal rondel with a diamond shape including BBB imbedded in the stem top, and later post-Cadogan went to a stamped on logo, similar to the GBD pipes. Genesis and history of the company. Adolph Frankau & Co Ltd In 1847, Adolph Frankau arrived in London and quickly understood opportunities that the market of tobacco presented, in full expansion. 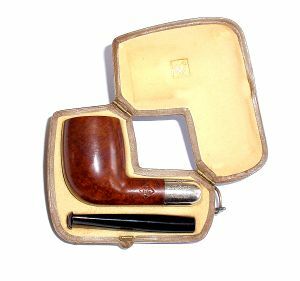 He created the company "Adolph Frankau & Co" and became an importer of meerschaum pipes and supplies in connection with the tobacco. It takes under its wing young a 14 year old boy, Louis Blumfeld. The business thrives quickly until the death of Adolph Frankau in 1856. His widow prepares to sell the company. Enter in scene Thomas Carlyle (1795-1881), author of "Hero and worship of the heroes". This last advises with Mrs Frankau not to sell, but to entrust the future of the company to the hands of the young person Louis Blumfeld, then 18 years old. Carlyle was to have a very high opinion of the Louis young person, and this confidence was justified by its assumption of responsibility of the business, its enthusiasm and its inexhaustible energy. Louis realizes quickly, like others, great potential of the Heather, from which the interest comes to be recognized. Louis Blumfeld develops from the very start of important international trade, with a particular success in Canada, in Australia, in Zealand News, India and in the extrème Is Europe, in Switzerland and, with a special mention, in Denmark. If the USA were never an extraordinary market, a branch is opened all the same in New York. In fact, the marketing strategy was focused especially on the countries of the Britanique Empire. 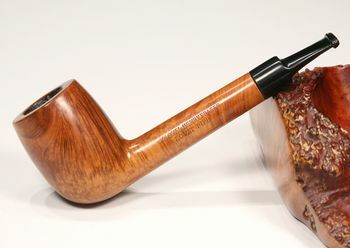 Little before 1914, A Frankau & Co was also a sole agent for the pipes Cherry Wood of the Ropp house to cover the United Kingdom and its colonies. 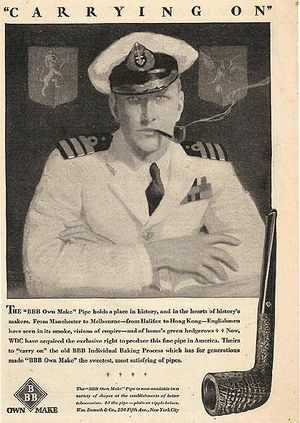 If the BBB are its the most known pipes, A Frankau & Co had several marks of pipes: Capt. Kidd, Fairway ("F" in white; FAIRWAY/LONDON MADE/ENGLAND), Frankau' S (London Made/Made in England), Glokar, Major Daff, the Snap-FIT. It also seems that Ultonia and Last word must be regarded as marks with whole share, in spite of the fact that they are presented as being product lines under label BBB. That would explain their absence of catalogues BBB. 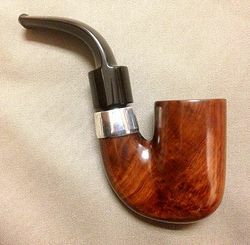 Note: The new owner of this pipe may be writing a section for us on the Glokar pipes for inclusion here, including a review of its relative merits. Stay tuned! The need for manufacturing in London becomes pressing, this is why, with the turning of the century, A. Frankau & Co has a broad warehouse and offices to the 121 Queen Victoria Street, a service of export in Upper Thames Street and opens a factory in 1898 in Homerton, High Street 112 (then 154) until in the Eighties when Cadogan gathers its activities of manufacture in Southend one Sea. In this time, A Frankau & Co also produce of Calabashs. 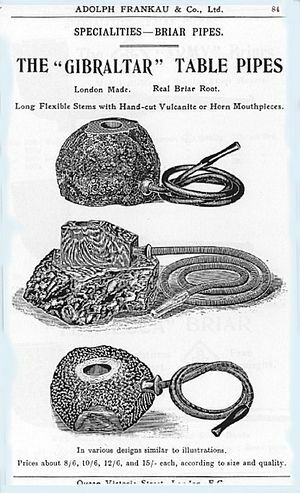 The water-bottles used are originating in South Africa and are fruits which can be used as pipe (called also gourd, in this case) usable for the pipes. That became difficult to be supplied out of water-bottles considering the growing request and the constant attention which it is necessary to carry to the culture. BBB sets up a special department to manufacture the calabashs, using only scum to make the furnace whereas some their competitors use plaster of Paris and even of asbestos (asbestos). The manufacture of the calabashs survived war 14/18, but this conflict destroyed the request. 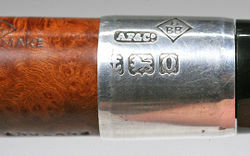 The Twenties were not easy for the manufacturers of pipes, and A Frankau & Co are integrated by "A. Oppenheimer & Co. Ltd1 ". It is besides at that time that Comoy' S of London, Dr. Plumb and Loewe & Co pass under the control of Oppenheimer, which pushes the company to create "Cadogan Investments Ltd.2" in Cadogan Square, London, in the Thirties, to manufacture and sell its pipes. The factory of Homerton passes under the control of "Marechal Ruchon & Co" (in the years 1970, the factory takes the name of "Fairfax Traders"), and continuous to produce the BBB in a traditional way. 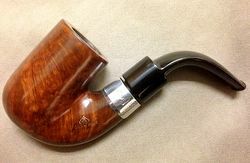 Finished, pipes with a silver ring and étuits. However, continuous BBB, commes other companies of the group "Cadogan", to function commercially like an independent company. BBB concentrates on a certain number of pipes with system which were in general orders, and on new completions. 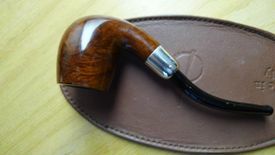 Richard Esserman thinks that Dunhill sub-contracted with BBB the manufacture of the heads for its Bent Magnums until 1923. In fact, when the companies of the LASH stopped to dispute one the other, all the heads were turned in the installations of a new factory cise in Stratford, Carpenters Road. LASH bought also machines Zuckerman those being more effective. The workshops of finishing closed, and the pipes were finished in Aldershot and sometimes also in Shoeburyness. At that time, it was a practice courrante in the trade to offer to the other companies the heads of surplus at agreed prices. Cadogan was accustomed to selling head of rank A in Dunhill, and buying to him heads of rank II, III and IV. 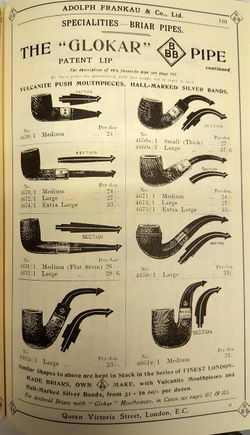 But they did not finish the pipes for the other companies: to sell heads of rank A in Dunhill was more advantageous than of their making pipes of them! The BBB Trademark (the first pic is of the 1876 mark, the second on pipes in 1950s and 1960s and the third 2000 The pictures seem to have uploaded in wrong order. 01 is the 50-60s pic 02 is the earliest, and pic 3 is the latest 2000) The initial BBB in a rhombus are used very quickly, and marks it was the first mark of pipe has to be recorded when the "Trade and Marks Act" takes effect in 1876. Enough oddly, BBB is registered under two numbers, numbers 39 and 40: in number 39, initials BBB in the rhombus (date of dépô T: January 1, 1876; published on May 3, 1876 on page 21 of Trade Mak Newspaper) for class 341 (Tobacco, or manufactured gross and cigarettes), in number 40, a simple B for which no image is available (same references of deposit and publication) for the class 50 (Goods manufactured out of ivory, bone, wood, in vegetable or animal substance, pipes with tobacco, cigars and cigarettes (cigar and cigarette tubes). Let us note that Oppenheimer again registered BBB (of number 39) for a new logo under number 2288663 (date of filing: December 20, 2001; published on February 13, 2002 on page 2634 of Trade Mark Newspaper) for classes 14 (cases with cigar and cigarettes, limp with cigars and cigarettes, cigar-holder and cigarettes, all out of noble metals) and 34 (Tobacco and products of the tobacco, articles for smokers, pipes, jokes with tobacco, pipe-racks, lighters, equipment of cleaning for pipes, cigar-holder and cigarettes, cases with cigars and cigarettes, humidors). At the European level, Oppenheimer records BBB under number 002100907, date of filing: February 22, 2001, date of registration: October 7, 2002, for classes 14 and 34 and under number 0863111 for class 34 (date of filing: October 20 2005). Production of BBB pipes It is thought that the first BBB in fact were imported, and that the initial ones wanted to symbolize, at the beginning, Blumfeld' S Best Briars. Small-with-small, these initial was included/understood like Britain' s Best Briars. At the beginning, BBB produces two qualities. 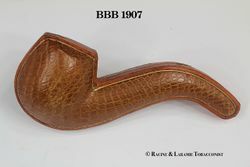 One, BBB Own Make, became finally BBB Best Make, other pipes being simply estampillées BBB. 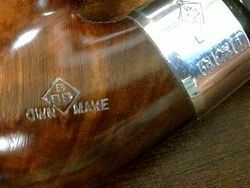 There are reasons to believe that Own Make in fact were produced in London (Reject pipes cuts year R stamped one them. 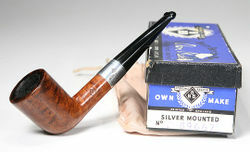 ), whereas the simple BBB were imported, and this, to the paddle of the 20th century. However, if all that is not very clear, it is probable that the lines low-of-range were imported of Saint-Claude. 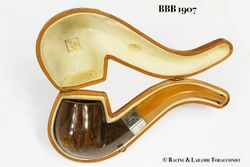 Collection BBB follows the same lines as the other manufacturers of pipes of second half of the 19th century. The forms similar with the popular models with a prevalence of were curved. A majority of them had a silver ring. 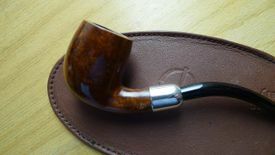 In same time, BBB continues to deliver meerschaum pipes. 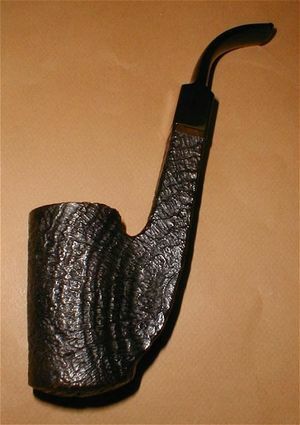 BBB was probably the first to propose pipes with a paper filter, Mackenzie, which was available it also in two qualities (Mackenzie, second mark of BBB, could be produced in Irish Republic. 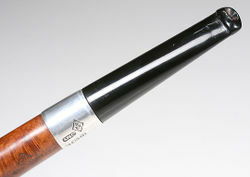 Ebonite pipes). This process goes back to before 1900 as proves it a letter August 27 1891 of Sir Morrel Mackenzie (1837-1892) in which this one suggests manufacturing models with a longer pipe. 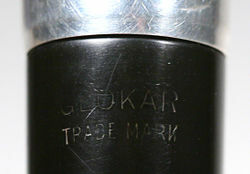 The mark survived until in the Sixties. It is thought that BBB was one of the first to call the form Lovat "Lovat", pipes designed with broad led for a better passage of air. However, the firm "Friedlands" could have adopted this name at the same time. Lovats appeared well before 1914 and were proposed with the sale by BBB in four different dimensions, of which a series called Highland. 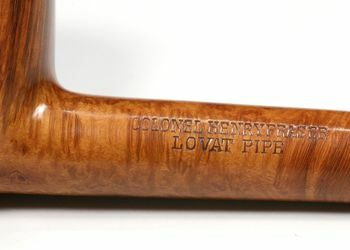 Colonel Henry Francis Fraser (1872-1949), Lord of Lovat, must have made the publicity of this form made in his honor and which is always popular nowadays. 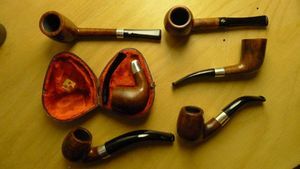 Whereas the shapes of the briar pipes are similar with those of the other marks, the models develop a very nowadays required distinct character by the collectors. Besides BBB gains the gold medal to the Franco-Britanique Exposure in London of 1908 (Frank Bowcher, 1864-1938) and to the World Fair and International of Brussels in 1910, medal of Godefroid Devreese (1861-1941). One finds these medals, in particular on the advertising folders of the Fifties and Sixties. 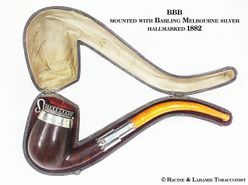 At the time, the practice wanted that the order of price is according to the matter of the pipe: extrusive rock, horn, amber, ambrolith... 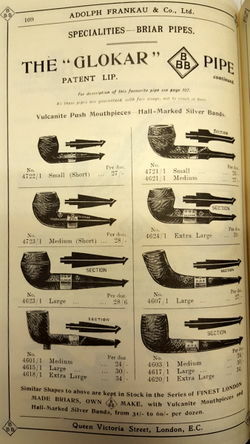 In the same way, the price varied as same way as the size of the pipe. 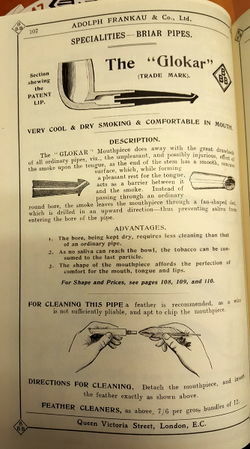 For example, in 1914, the wholesale price of a simple billiard was to vary between 15 shillings and 22 shillings and 6 pence because of the size of the pipe and the floc (not of screw or tenon). 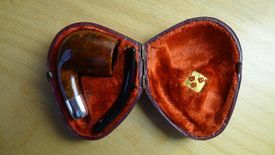 Though it is, it seems strange that Liverpool of five inches length with an amber pipe coutait 12 shillings in great quantity whereas the same one with a pipe in ambrolith cost, it, 19 shillings. BBB thought essential to launch special series like Chubby, Golfer, Dreadnought (probably indicated thus in connection with the class of warships), Bellerophon (sic) and Cutty (small sizes). BBB proposed until 20 lines due has various intelligent combinations of pipe, completions and étuits. They had a whole a silver ring. 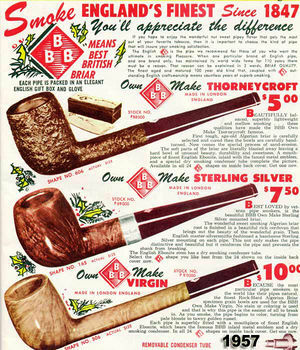 Around 1910, the BBB Own Make can be sold up to 2£ 10 shillings whereas only estampilées pipes BBB are sold 5 to 6 shillings. In the Thirties, the top-of-the-range one becomes "BBB Best Make" with alternatives like "Super Stopping" and "Ultonia Thule". The BBB Carlton, sold with the detail with 8/6 in 1938, is equipped with a system complicated out of metal, system which equipped the BBB London Dry too. Blue Peter was not estampillées BBB but BBB Ultonia, and the BBB Two Star (* *) become the bottom-of-the-range one. 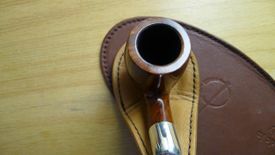 The calabash leave the catalogues, but some pipes with case and some scums are still produced. The forms also are typical of this time: half are billiards, some princes and bullcaps, a limited number of bulldogs and curved. 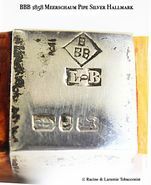 It is as at that time as the top-of-the-range series receive an incrustation of initials BBB out of metal, whereas the bottom-of-the-range series have only the engraved pipe. Middle of the years 1950 with that of the Sixties, the lines are relatively stable. At the top, Own Make "Rare Grain", then the line virgin with hearth in scum, Own Make "Virgin", Own Make "Walnut" and finally Own Make "Thorneycroft". Currently, Cadogan uses Spanish heather for the majority of its pipes, and holds the heather of Morocco for the production of high quality. Before being sent to them, the heather dried between 6 and 12 months. To avoid any confusion and an excess of documents due to the use of the specific ranks to each mark forming part of the group, Cadogan adopted a system of eight ranks common to all the marks. Rank A is a heather which has a beautiful grain, without any visible imperfection. The ranks B have a beautiful grain, but with some small black spots and maximum three drainages vertical sand which will be mastiqués. 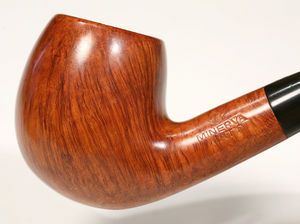 The rank "Best Make" has also a beautiful grain, with maximum five small drainages vertical sand. The heads which have grain of a variable and maximum quality six vertical sand drainages are of rank MO. 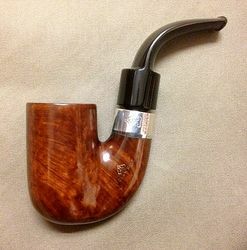 The pipes of second rank are is poor heather of grain but without defects or of beautiful grain but with to eight small or two large drainages vertical sand. 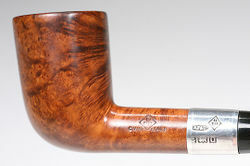 The third, fourth and fifth ranks are pipes of which décroit quality proportionally. 1 - Adolph Oppenheimer started a business of Import Export general in 1860, and his/her brother, Charles, joined the company in the current of the year. Adolph taken its retirement in 1870 and moved in Germany, where he became British Consul then Consul general, letting Charles take the control of the businesses. Louis Adler, who was the brother-in-law of Oppenheimer, became a collaborator when Adolph left the company. The two brothers did not have a descent, and the property of the company passed to the Adler family. 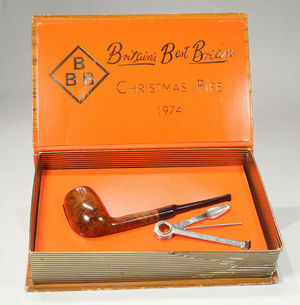 About 1870, the company imported pipes GBD in Great Britain from Paris. 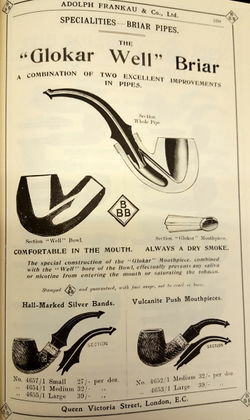 The association of Oppenheimer with GBD was such a success that in 1897, Oppenheimer became the sole agent of the French pipe company. Five years later, the French owners of GBD, Marechal Ruchon & Co, amalgamated with A. Oppenheimer. This page was last edited on 20 February 2019, at 22:23.